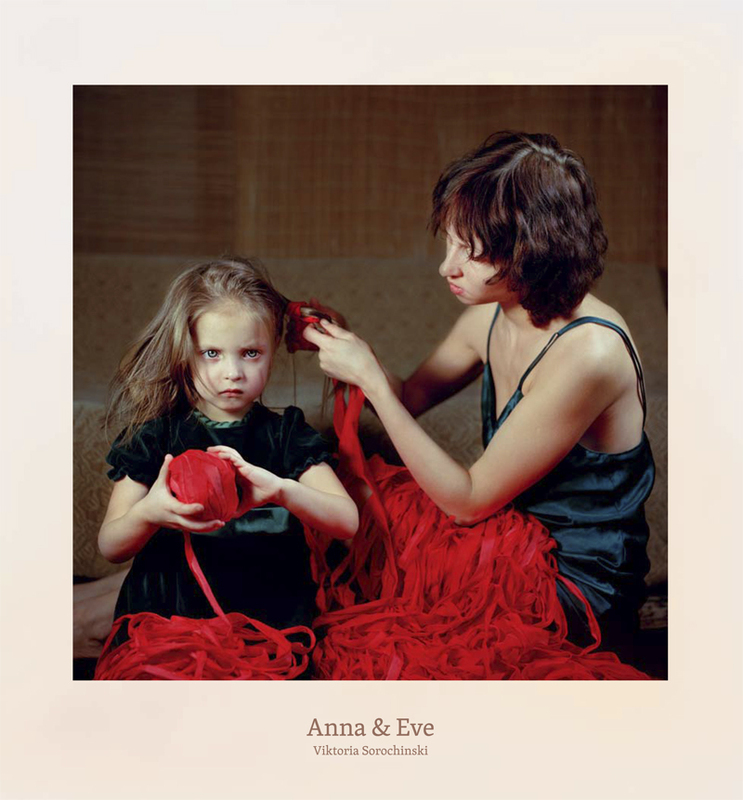 We are thrilled to announce the release of Viktoria Sorochinski’s first book “Anna & Eve”. 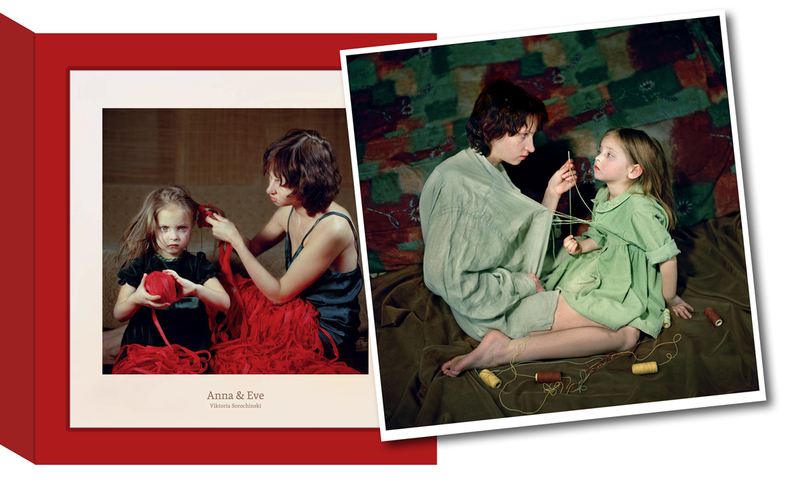 The book includes 48 images from Viktoria’s series of the same title, Anna & Eve. In 2005, Viktoria met Anna & Eve and started photographing the mother and daughter using myths and fairy tales. Please join Viktoria in Berlin for the first exclusive Book Signing and a Vernissage of the Anna & Eve series. You can see all the images in the series on CEG’s website here. The book “Anna & Eve” is not simply a catalog; it is a journey into a realm of fantasies and fairy tales, overlapping with the realities of everyday life. In addition to Viktoria’s photographs portraying the enigmatic relationship between mother and daughter, this book reveals the insightful gaze of a child into the world of adults through Eve’s commentary about the important aspects of our existence. This book also opens with a prologue where you will discover Eve’s tale about “her planet” as well as a dream-like sequence of images with Anna & Eve, which you will find only in this book! Peperoni Books is also creating a special limited edition of the “Anna & Eve” book. The special edition book comes with a beautiful, cloth-bound, hand-made box and a signed limited edition print (Attachment, 2006 image size: 28 x 28 cm) from the “Anna & Eve” series. The special edition book is available for 380 euro. However, if you order the special edition in advance, you will receive it at a discounted price of 300 euro! The last chance to buy the special edition for this price will be at the vernissage on April 26! Order advance copies online at 25 Books’ website. Next > New work by Gregory Scott premiers at Paris Photo L.A.